Happy International Women’s Day! This day, which is celebrated annually on March 8th, is set aside as an opportunity to celebrate the social, economic, and political achievement of women. If you don’t think that’s worth celebrating, how’s this for a wake-up call? At the current rate, it will take 217 years for the workplace gender gap to close, according to estimates from the World Economic Forum’s 2017 Global Gender Gap Report. 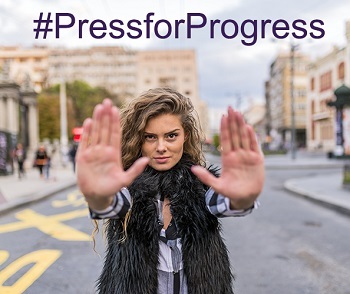 This is why the theme of this year’s International Women’s Day campaign, “Press for Progress,” focuses on striving for gender parity in education and the workplace. Studies have shown that gender equality in the workplace is linked to better innovation, communication, and problem solving; but, despite this research, gender parity is still an issue in many professions—especially in careers related to science, technology, engineering, and math (STEM). TDS has a goal of increasing the number of women in IT positions in the company—one of the many reasons why TDS formed a Women in Technology (WIT) Employee Resource Group (ERG) as part of the its Diversity & Inclusion initiative. The WIT ERG—which is open to TDS employees from all backgrounds and career levels—focuses on finding ways to recruit, retain, and develop women in the STEM fields. We’re celebrating this push for diversity by highlighting four women in different areas of tech at TDS who are furthering the conversation about gender parity in STEM. Theresa’s interest in technology started while she was working at an insurance company on a billing team. The company was in the process of transiting from “dumb terminals” to personal computers. They were looking for people to join a Macintosh computer committee to become familiarized with the new technology and train other members of the team on how to use it. When Theresa volunteered for the committee, she discovered a newfound interest in technology, and the rest is history. Theresa’s current role at TDS is to manage the IT Project Managers, but she also has experience working in program development and software testing. Theresa loves how technology is ever-changing and there’s always something new to explore. Kristen’s journey in STEM actually began more in the world of science than technology. She studied dietetics in college, focusing on health and nutrition. Eight years ago, Kristen started working at TDS as a contractor doing administrative work and later became Leslie Hearn’s executive assistant in Information Systems. Kristen—who didn’t consider herself to be particularly technologically proficient at the time—slowly began picking up on the concepts and terminology while working on the job. Recently, Kristen started a new position at TDS as the administrator of IT Metrics & Internal Process Management where she creates reports and analyzes data that relates to various aspects of IT. “I don’t code or do the typical technical work that people think of when you say you work in IT,” she said, “but I do work in IT for a tech company.” Kristen’s favorite part about working in the technology field is it encompasses a wide variety of positions that require different skillsets, but they all tie into each other in one way or another. Thirty-seven years ago, Kathy was looking for a way to support herself so she completed a data processing program at Madison College and has been working in technology ever since. As a Senior Software Engineer, Kathy serves in a support role where she resolves issues that arise in the customer billing system. Her favorite part about her job is being able to help customers by resolving complicated technological issues for them. “It’s a very satisfying career because you get to solve problems every day,” Kathy said. After spending a few years working in support, Becky moved over to testing where she now works as a Lead Software Engineer supporting project testing efforts and mentoring members of the testing team. She encourages everyone to be open-minded about new career opportunities. “TDS does a great job of encouraging their employees to try new things and if they didn’t do that, I never would’ve ended up here,” she said. For more information about opportunities at TDS, be sure to visit our careers page. 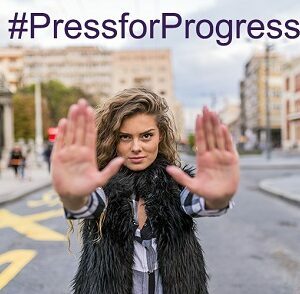 Top image courtesy of International Women’s Day.